Michelle L. Macy, M.D., M.S. 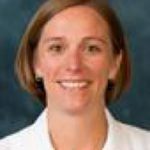 Michelle L. Macy, MD, MS is a pediatric emergency physician in the U-M C.S. Mott Children’s Hospital. She conducts her pediatric health services research in the Child Health Evaluation and Research Unit (CHEAR) where she is the director of the CHEAR Program on Unscheduled Pediatric Healthcare Delivery. Dr. Macy’s research, to date, has focused on observation or short stay hospitalizations for children and child passenger safety. Her research to design and evaluate an intervention to promote child safety seat use during emergency department visits is funded by a K23 career development award from the Eunice Kennedy Shriver National Institute of Child Health & Human Development of the National Institutes of Health. Dr. Macy has earned her M.D. from U-M, where she also earned her M.S. in health and health care research and her B.S. in biology.